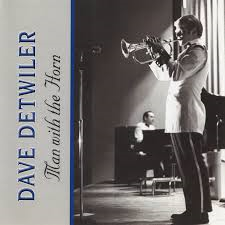 Since coming to the Northern Virginia area in 1973, Dave Detwiler has been one of the most sought after active trumpet teachers of his time. From beginner to professional and all the students in between, Dave has found time in his very busy professional playing career to teach a large studio on a weekly basis. Dave’s students continue to be successful at all levels and attribute their success to the fine tutelage of their teacher. He not only knows his subject better than other teachers, he sets high standards and expectations by example. He also believes that learning should and can be fun, and exudes that feeling on a daily basis. Directed musical events at The White House. Was the featured soloist with The U.S. Army Concert Band on more than 350 Special shows and events in the Nations Capital, across The United States, throughout Europe, Japan and Australia. Performed at Special State Department, Department of The Army, and White House events for Presidents Nixon, Ford, Carter, Reagan, Bush and Clinton. Played “lead” trumpet and was a featured soloist with The US Army Blues, the Nations leading military jazz ensemble. Performed with The NSO for all “Pops” concerts as the principle trumpet. Has been a Featured soloist with this world renowned orchestra on more than 400 concerts including Nationally televised holiday programs. Principle Trumpet with The Wolf Trap Filene Center Orchestra for more than forth years, playing all Pops Shows. Principle and Section Trumpet, The Kennedy Center Opera House Orchestra, National Theatre and several other D.C. theaters, for more than 40 years. Established and managed Prelude, Inc., a full time booking agency. This company books Musical entertainment and features herald trumpets and many different types of bands to Include big bands, Dixieland bands, and wedding bands. Agency has become the choice of many Senators, Congressman, retired Pentagon officials, the present Under Secretary of the Army, Walter Kaye And officials in Washington, for musical services. Taught private students between the ages of 10 and 60 for more than 25 hours a Week. During this time I have also written one studies/jazz etudes book and a Book of arranged Christmas tunes for trumpet players. As a clinician with The U.S. Army Band, guest soloist and clinician as a Representative of Georgetown University and a Clinician/Artist with The Conn- Selmer Company, I have lectured and been a guest soloist at hundreds of high schools, Colleges and universities throughout The U.S., Canada and Europe. I have taught music Theory, advanced placement music theory, concert and jazz bands for four years at Centreville H.S. and one year at Westfield H.S. as a teacher in the Fairfax County School System in Northern Virginia. I also have instructed the James Madison H.S. Jazz ensemble and worked with the Westfield, Thomas Jefferson and Oakton High School Jazz bands. I taught as an associate professor on the staff at Georgetown University for 14 years where my duties were to teach jazz and direct the jazz ensemble, as well as Teach private trumpet instruction.